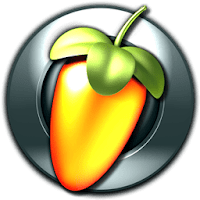 FL Studio (formerly known as FruityLoops) is a powerful music production environment or Digital Audio Workstation (DAW) for Windows PCs, that is capable of multi-track audio recording, sequencing and mixing for the creation of professional quality music tracks. It was first released on December 18, 1997 by Didier Dambrin for Belgian company Image-Line. The program has everything you need in one package to compose, arrange, record, edit, mix and master professional quality music. It's the fastest way from your brain to your speakers. FL Studio comes with a variety of plugins and generators (software synthesizers) written in the program’s own native plugin architecture. It also has support for third-party VST and DirectX plugins. The API has a built-in wrapper for full VST, VST2, VST3, DX, and ReWire compatibility. Many of the plugins also function independently as standalone programs. FL Studio comes in three different editions, including Fruity Edition, Producer Edition, and the Signature Bundle. The editions share common features, but Signature and Producer have additional features, Instruments, Packs, and Effects. "All Plugins Bundle" is Signature Edition with all plugins included. Image-Line offer one-time payment that included lifetime free future updates to the program. FL Studio is one of the world’s most popular DAWs and is used by the most creative artists. Among them, you can find hip hop and electronic DJs such as Martin Garrix, Afrojack, Avicii, Zardonic, Boi-1da, Seven Lions. 9th Wonder, Metro Boomin, Alan Walker, Southside, Mike Will Made It, Dyro, Madeon, Slushii, and Porter Robinson. Disclaimer: Direct downloads for the lastest version of FL Studio 12.5.0.59 are provided by the official software's author, we can't guarantee safety, availability or download speed. Moreover, we don't and we won't provide any pirated/illegal versions or tools. We recommend you to avoid it as these methods can harm your device. If you like the software, buy it to support the developers. (We provide software discounts for many worldwide brands).